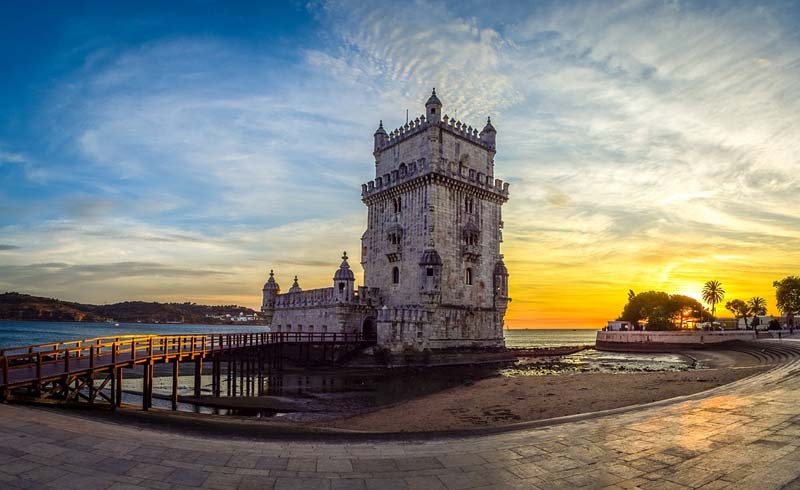 Lisbon is one of the most attractive Western European capitals, with its glittering waterside location, seemingly-endless sunshine, and large number of gorgeous buildings. While you’ll find spectacular, albeit sometimes crumbling, architecture almost anywhere in the downtown area, a few buildings stand out as being worth a visit all by themselves. From churches to train stations, ancient cathedrals to shiny new museums and more, these are six of the most beautiful buildings in the city. Start your architectural journey by taking a tram, train, bus (or your feet!) along the riverfront, out to the popular Belém neighborhood. 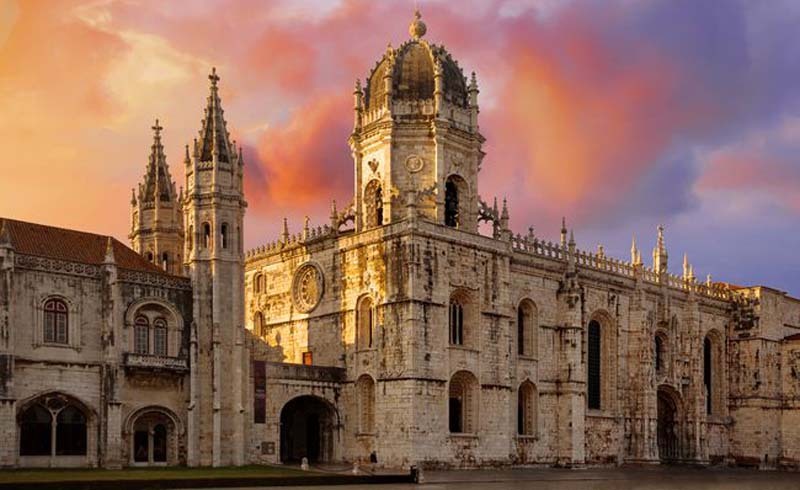 There are several stunning buildings in the area, but the most impressive has to be the Jerónimos Monastery. The UNESCO World Heritage Site dates back to the 1500’s, and dominates the surrounding area. Several important figures from Portuguese history are buried there, including poets, explorers, and members of the royal family. 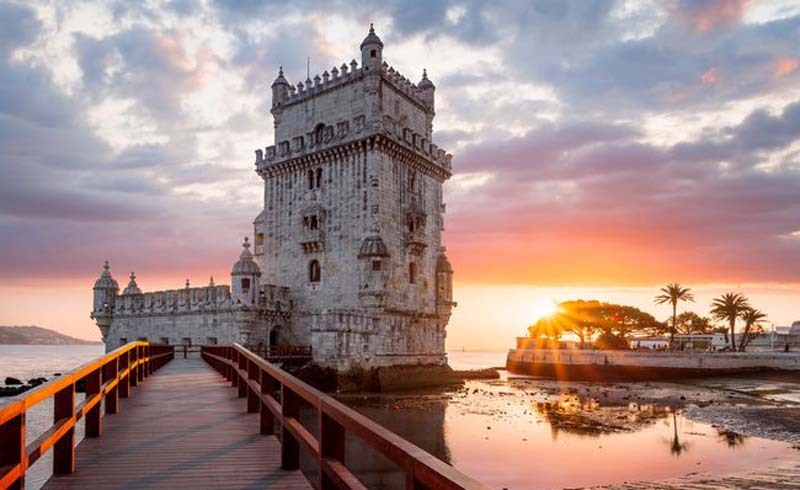 It costs €10 for an adult ticket to enter the monastery, with discounted combination tickets that also include Belém Tower and various nearby museums. Opening hours are 10:00am to 5:30pm from October to May, and 10:00am until 6:30pm the rest of the year. Sitting right on the river (in fact, it’s surrounded at high tide), Belém Tower is an easy 10-15 minute walk from Jerónimos Monastery. Much smaller than it’s counterpart, the fortified tower was built in the early 16th century, and once served as a ceremonial gateway to the city as well as part of its defence system. Roughly 40 feet wide and 100 feet tall, visitors enter the tower via a small bridge. 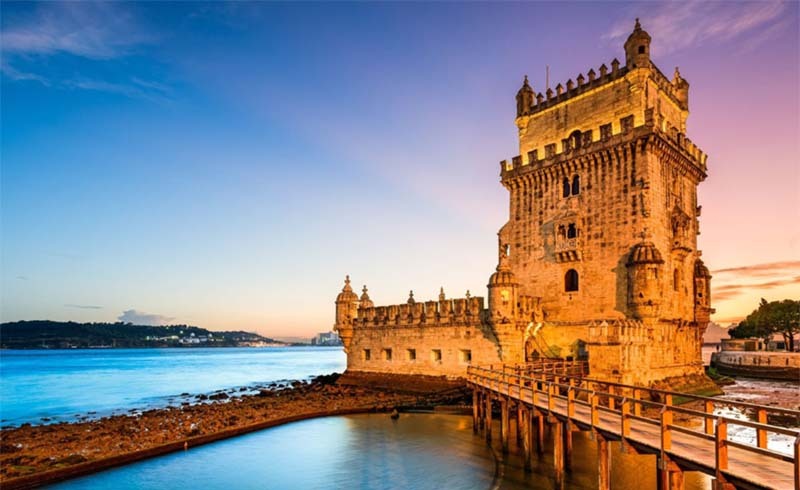 Head to the top for excellent photo opportunities of the Tagus river and surrounding city. The tower is open the same hours as the monastery above, and costs €6 for a single ticket. Again, combination tickets for other nearby attractions are available. 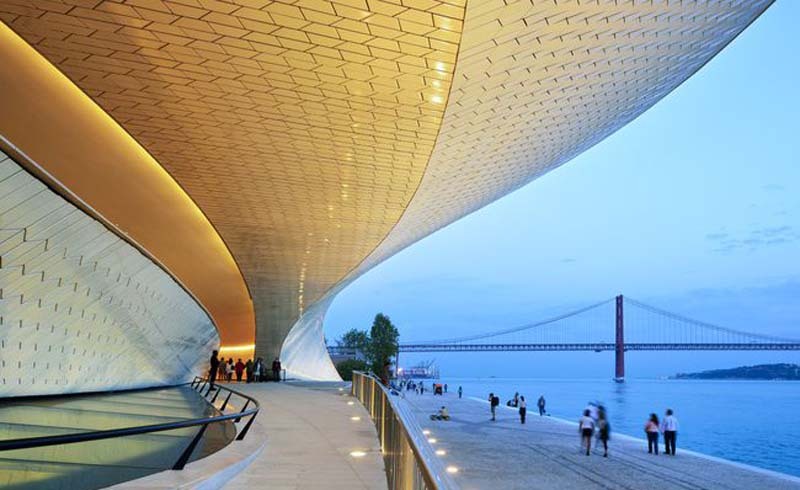 Still in Belém, the Museum of Art, Architecture and Technology (MAAT) shows that the most beautiful buildings in Lisbon aren’t all centuries-old. Housed in a former power station beside the river, the museum opened in 2016, spread over two buildings. With a sweeping, wave-like design, including an exterior walkway that leads up from ground level to an open rooftop viewing area, the MAAT is a bold, modern and spectacular building. Entry to the viewing area is free, but tickets to the museum itself cost €5 to go into one of the buildings, or €9 for both. It’s open from noon until 8pm, but is closed on Tuesdays, and some public holidays. 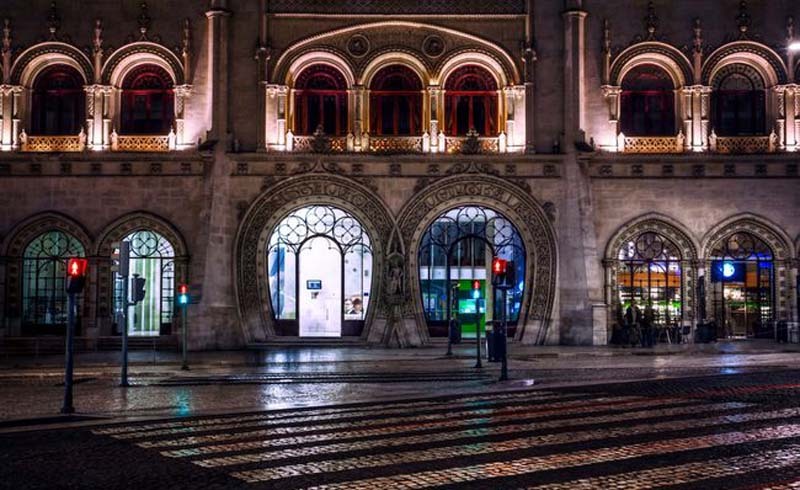 The architecture of many old train stations in Europe is incredible, and Lisbon is definitely no exception. One of the best, and easiest to get to, in the city is Rossio, right beside the large square commonly known by the same name. It’s where you catch the train to Sintra, so there’s a good chance you’ll go through it at some point during your stay. Built in the late 1800’s, from the outside you’d have no idea the building was a train station. The ornate facades more resemble a theater or civic building, and somehow, even the Starbucks on ground level doesn’t detract from the building’s grand design. You’ll get great photo opportunities from the square across the street, especially if you happen to catch a break in traffic. 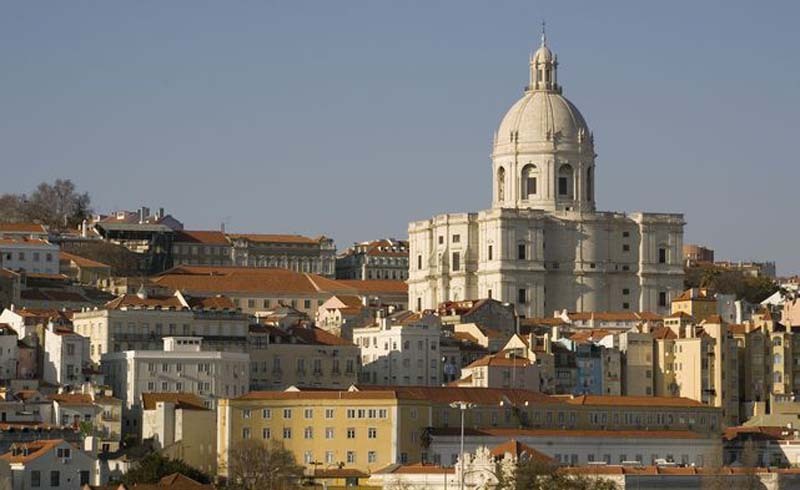 The white, dome-shaped roof of the National Pantheon is visible from viewpoints around the central city, and is a dramatic feature of the Lisbon skyline. Sitting on a hill in the Alfama neighborhood, building work on the Pantheon started in the 1600’s, on the site of desecrated former church. Astonishingly, due to the death of the architect, loss of interest from royal sponsors, and financial woes, it took nearly three hundred years to complete, with reinauguration finally happening in 1966. While the best photos of the exterior are from nearby viewpoints, it’s worth going inside the building as well. The floorplan laid out in the shape of a Greek (rather than Latin) cross is a highlight. Tickets are €3, with free entry on Sundays, but closed on Mondays. 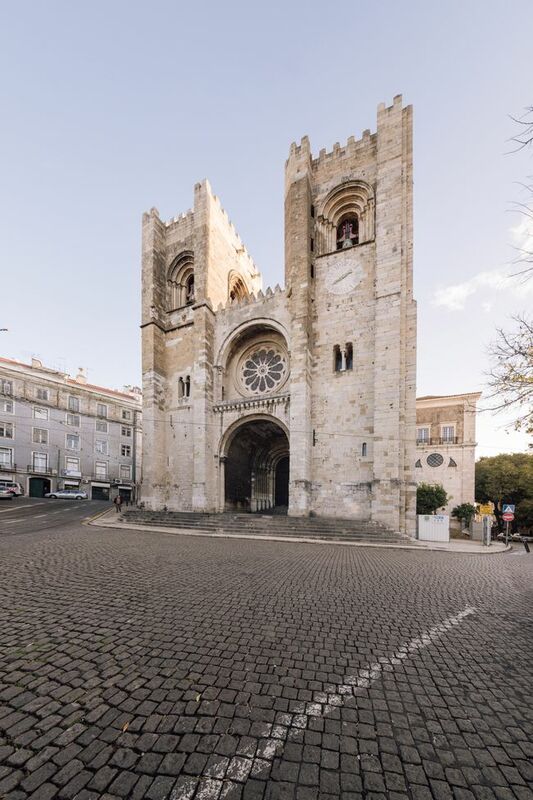 Also in Alfama, Lisbon’s cathedral (or Sé) is the oldest church in the city. The start of construction dates back to the 1100’s, over the top of a former Moorish mosque. Since then, the cathedral has survived fire and several earthquakes, including the infamous quake of 1755 which caused significant damage. Most of the imposing exterior that you see today dates from a major twentieth-century reconstruction. Inside, the altars and side chapels are impressive, but it’s the stained-glass windows that are particularly noteworthy. Entry is free, although donations are always appreciated.